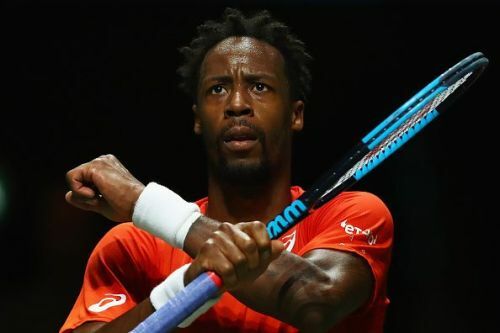 The affable French man Gael Monfils meets the rising Russian youngster Daniil Medvedev in the first semi-final of the Rotterdam Open. This is their second meeting in a week. A week ago, the two had met at the same stage of Sofia Open, where the Russian had got the better of the French man in a rather one-sided encounter. In that match, both players had an almost identical first serve win percentage. For Monfils, it was at 70% and for Medvedev, it was a tad higher at 71%. However, a major factor for the eventual result was the contrast in their second serve win percentage. For Medvedev, it was a creditable 59%, whereas for Monfils, it was an abysmal 33%. That was a major reason why the match turned out to be rather one-sided in favor of the Russian. For Monfils to have any chance of reversing that result, he will have to do much better on his second serve. On the evidence of his performance so far, he has certainly seemed to make a conscious effort at rectifying that error. 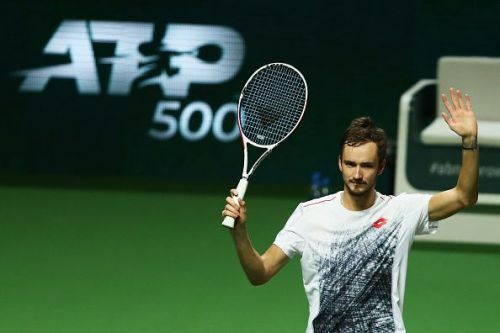 His most dominant performance so far has come in the quarter-final stage, where he simply annihilated Damir Dzumhur in straight sets, by losing just three games. What must have been especially pleasing for Monfils going into a rematch with Medvedev is his impressive second serve win percentage which was at 70% in the quarter-final. However, playing against an inform Daniil Medvedev is not going to be an easy affair. In this tournament, he has not only served big both on his first and second serves, but also returned extremely well. In his quarterfinal match against Tsonga, he showcased one more facet of his game which may not be good news for his opponents. For a player that young, he showed remarkable level of maturity. Having won the first set, when he began the second set, Tsonga seemed to have improved his game a notch. To make matters worse for the Russian, there were some erroneous umpiring decisions and line calls that went against him. The experienced Tsonga sensed his chance and upped his ante. But instead of losing his focus amidst umpiring errors and the prospect of a fired-up opponent, he simply channeled his inner frustration to take his own game to a higher level. That early passage of play at the beginning of the second set had the potential to turn the match on its head. The remarkable maturity of the Russian ensured that he withstood that pressure, after which it was a pretty one-sided encounter. Though both Monfils and Medvedev have played great tennis in this tournament, it is the Russian who has a clear edge going into this match.